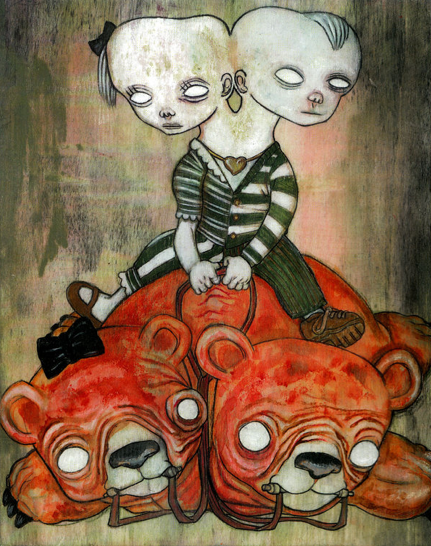 Canadian artist Oni Geist’s macabre paintings are dark and beautifully creepy. 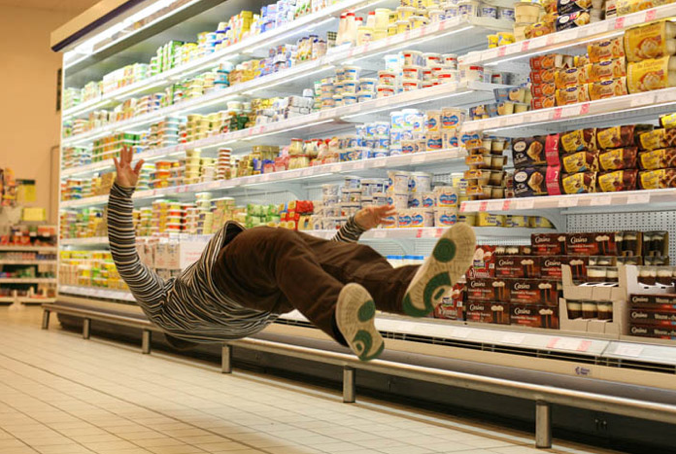 French photographer Denis Darzacq’s suspended animation photography with subjects floating weightless, trapped in time, disconnected from their environment, yet fully immersed within it, juxtaposed against familiar objects and locations, causes one to pause and reflect. The subjects themselves become obscure and it is their flow, their gesture of movement within their space, that becomes the focal point. Designs for the web change just like fashion, with new looks, layouts, and colors. But some colors remain favorites, and trends evolve among the top brands. This infographic shows us which are the most powerful colors on the web for the top 100 web brands. Decorating your garden? Have an affinity for the macabre, a taste for the morbid, or just have a great sense of humor? 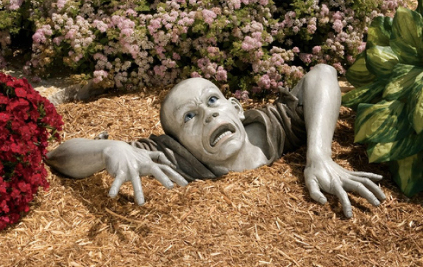 Then you will love this Zombie of Montclaire Moors Statue, designed by British artist Alan Dickinson. Dickinson has a reputation in the field of science fiction and fantasy, his work inspired by a deep respect for ancient legends and mythology. Alan Dickinson says, “The things which inspired me when I was a youth still influence me today – the best of comic book art, the Star wars films, fantasy games like Dungeons and Dragons and graphic novels. I’ve always been fascinated by the myths and legends of the ancient world. I’m intrigued by the thought that these stories may well be based on real events, and wonder what they have to tell us about our origins and our destiny. These ancient spiritual teachings hint at the existence of earlier, amazingly sophisticated peoples who have left us their wisdom, which we are only now beginning to uncover“. You can purchase this statue at Toscano. 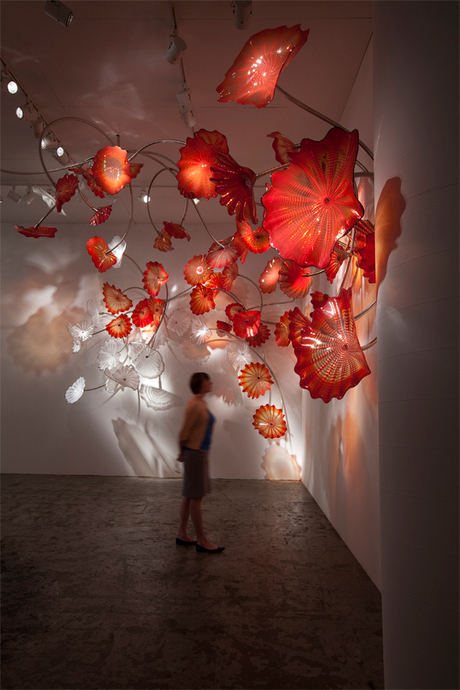 An exhibition of works by renowned sculptor and glass artist Dale Chihuly are currently on show at Marlborough Gallery Chelsea, titled Chihuly 2010, his first gallery exhibit in New York since 2006, which runs through October 16, 2010. Chihuly created a spectacular site-specific installation entitled Chelsea Persians featuring over one hundred Persian blown glass elements which are open, disc-like forms with striations (called “body wraps”). What Apple’s first product? 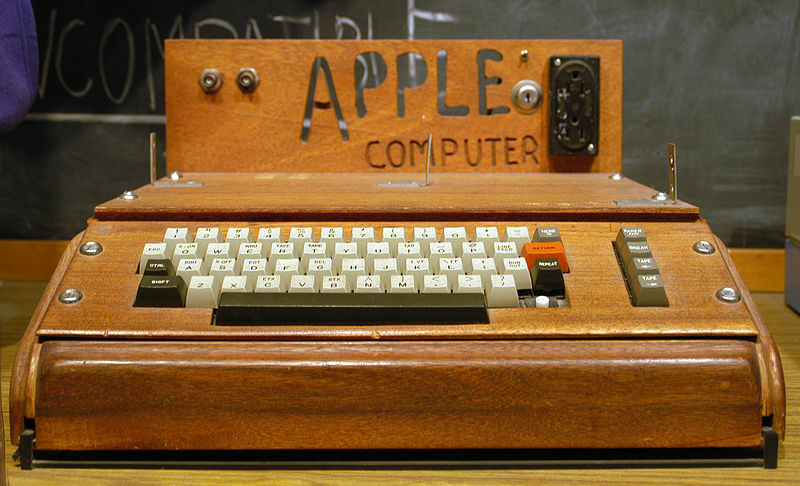 Here is a simple history of the first Apple Computers. Starting with the Apple I Computer. Back in July of 1976, you could purchase this personal computer for a mere $666.66, with available memory of only 4kb. Only 200 units were produced and was quickly discontinued in 1977. In 1977 they followed up Apple I with Apple II, a huge upgrade by comparison.